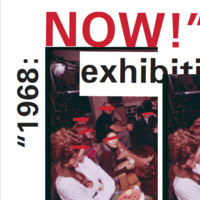 The philosphy, art, and history course titled “1968: Now” invites you to a gallery of final student art work. This exhibition explores the nature of rebellion, art, and subversive culture born in the 1960’s. “1968: Now!” will be a poignant look at independence, culture, and youth itself in 2018. How have things remained the same? And in what ways have we changed forever? EVERYONE WELCOME to the OPENING RECEPTION!